Shielding skin from harmful UVA and UVB rays, this Natio Ageless Daily Moisturiser UV Protection SPF30+ helps prevent fine lines and pigmentation and is perfect for use under make-up for added skin protection. This Natio Ageless Daily Moisturiser UV Protection SPF30+ is a lightweight, non-greasy formula that helps protect skin from harmful UVA and UVB rays. Preventing signs of ageing before they appear, this gorgeous daily hydrator is enriched with organic rosehip oil, lavender and lemon to leave skin hydrated, soft and smooth. Apply as last step of morning skincare. Perfect as a make-up base. Avoid using around the eye area. I was looking for an SPF cream that isn't sticky and doesn't give this white mask effect after applying and I found it! It's moisturising very well without tacky feeling or greasy look and the scent is quite subtle. A little goes a long way so I can imagine the tube lasting for 2-3 months at least! 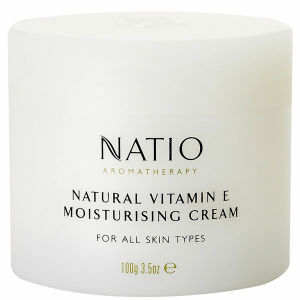 My favourite moisturiser is back in stock <3 I have used this moisturiser for five years now, even when I had to go to England to buy it because no one shipped it to my country for some time. 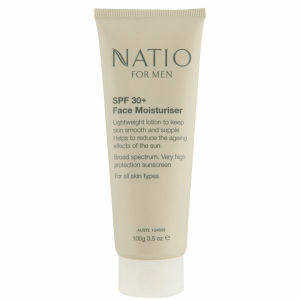 SPF30+ is a must for me, but still the moisturiser does not feel sticky and shiny on my oily combination skin. It works perfectly well under all the foundations I have tried, moisturises my skin so it does not flake (which it does if I do not moisturise it) and keeps my face from getting all wrinkly and sunburnt. Does not work around the eyes with my water soluble or waterproof mascaras - the mascara leaves marks on the skin -, but I have never found a sunscreen which actually works with my mascaras, so it's forgiven. Recommended for oily, dry or combination skin. Does not make my skin break out, and I have had lots of breakouts over the years, while being a good primer for makeup with high SPF. Love it! The delivery was super fast, even for the standard option. The reason I opted for this moisturizer is that daily moisturizers with decent SPF are hard to find or are way too expensive. I have combination skin and while during the summer I can get away with a mattifying sunscreen, in winter it dries out my skin too much. 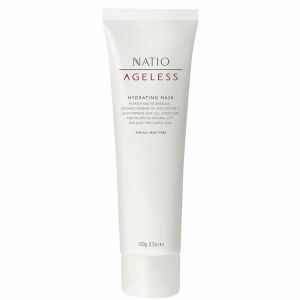 Natio Daily Moisturizer is a thick, white cream that sinks into your skin immediately, leaving it smooth and hydrated. I usually follow it with a mattifying CC cream and I am very pleased with this routine. The only thing I didn't like is the smell - other users described it as fresh and invigorating, but I initially thought the cream had gone off! Luckily, the scent dissipates after applying so it's not that a big deal after you get used to it a bit. 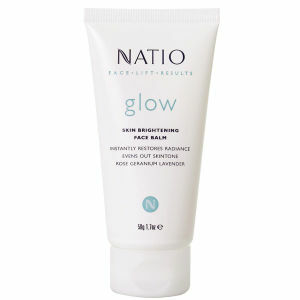 I can't wait to try out other Natio products, my second package is already on the way!